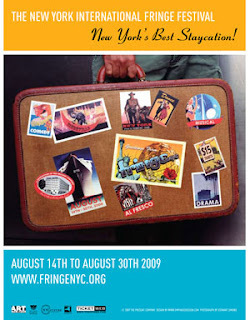 Have you heard of FringeNYC? Over 200 performance arts companies (big and small) are presenting work around the city for two weeks. Ploggers are spending every waking moment seeing and writing about these shows just so YOU know what to go see. Keep checking back to see what we've seen - and what we recommend! And check out these $5 tickets to 20 of the FringeNYC shows through High5!